After 25 Years, Banda União Black is re-launching their career with a full album of new songs on New York's Commonfolk records. This new album was recorded in Brazil and features a style that remains close to their original heavy funk sound. 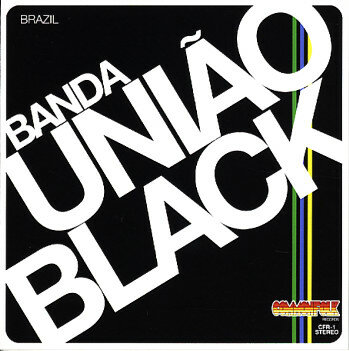 União Black was one of the principle bands of the Black Rio Movement in Brazil in the 1970s. Truly a supergroup, they stormed stages and even stadiums in the late '70s. They were 13 members strong with a style that evoked James Brown, Ohio Players and Mandrill but with lyrics in Portuguese and a sound that was unmistakably Brazilian. They have recently been featured on Strut Records' successful Black Rio compilation, and their original 1977 Polydor album is a highly sought-after (and expensive) collector's item. The album was produced by Daniel Collas, whose last project was the acclaimed Call My Name LP from Joe Bataan, and Sean Marquand, one half of the long running DJ team Brazilian Beat Brooklyn.